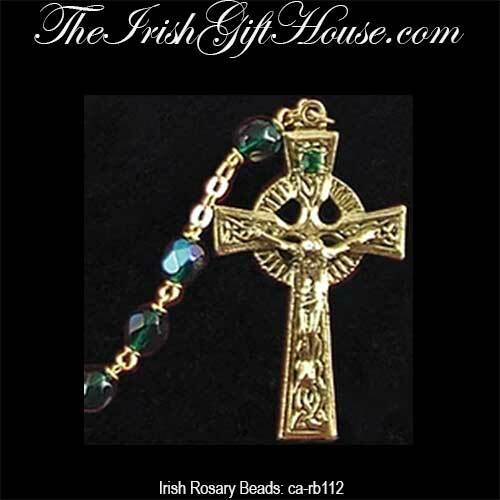 This Irish rosary features a gold tone Celtic crucifix along with green glass beads. This Irish rosary features green glass beads along with a St. Patrick medal in the center and a gold tone Celtic crucifix with knot-work that measures 1 1/4" wide x 2" tall. 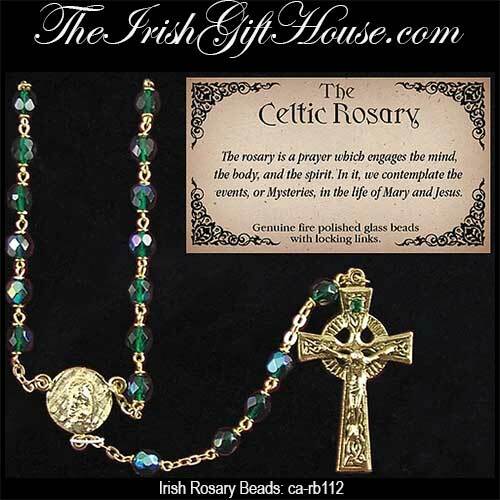 The green bead Irish rosary is a full five decades and it is gift boxed with Celtic knot and Celtic cross history cards, complements of The Irish Gift House. This Irish rosary features a gold tone Celtic crucifix along with green epoxy beads with embossed shamrocks.